A friend’s phone. “Delete All” seems like the best option at this point. “In Case You Missed It” is our new shorthand for a second effort at getting noticed. “In Case You Missed It,” I did this. ICYMI, I wrote this. ICYMI, this video is fantastic. ICYMI, this article says it all. ICYMI, we’re hosting another event. ICYMI, I’m resending that email from that guy about that thing you said you were so excited about. 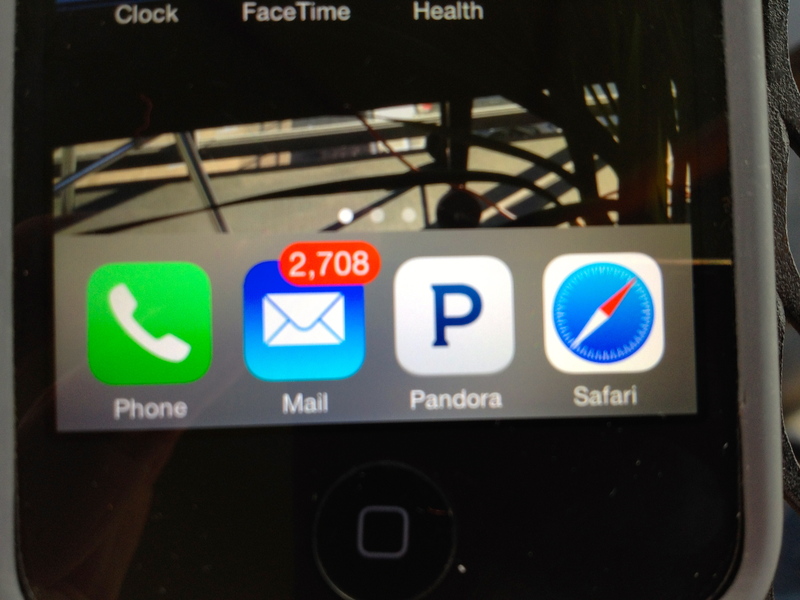 I worked with someone once whose solution to too much email was to just erase it all. His logic was clear: if it’s that important they will send it again or, better yet, come and find me. Yes, he was old school. Yes, he was an executive so he could get away with it. But that neglects the possibility that he just had a healthier relationship with the ceaseless onslaught of incoming stuff. His default mode was the here and now. ICYMI – what’s gone by – was categorized as past and therefore less important. Right now mattered most. Meanwhile, the rest of us seem to slog around trying to stay caught up and by doing so miss the stuff happening right now. ICYMI, your spouse is talking to you. ICYMI, your kid had a tough day. ICYMI, your employees are frustrated/did something awesome. ICYMI, it’s a beautiful day outside. ICYMI, there’s good stuff happening down the hall. ICYMI, trust depends on more than an electronic interaction. ICYMI, there is no such thing as being caught up. ICYMI, the new practice of our age is letting go. Yes, you missed it. If it’s that important it will come around again. Let it go and make some room for what matters.